Give movie-goers a great show before they see the show. Digital menu solutions entice movie patrons visiting your theater with colorful examples of the treats available at the snack bar. Use digital screens to promote upcoming events or movie shorts – you handle the content from your office! 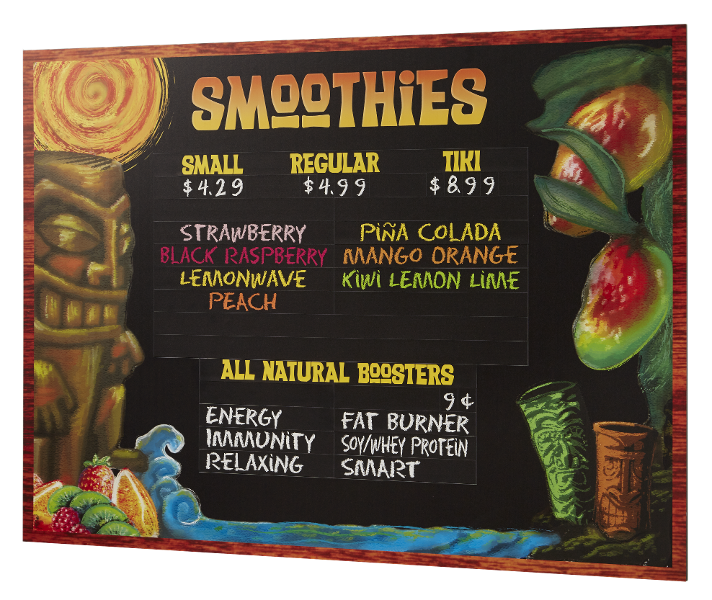 Traditional menu boards in back-lit (illuminated) or front-lit magnetic options give you a less expensive solution while still expressing the flavor of your snack offerings. The Howard Company graphic designers will create colorful lobby posters to promote your snack bar or upcoming events. Our dimensional directional signage can take movie goers back to an era of cinema legends, or to the most modern entertainment destination. If you can imagine it, we can create it! Digital allows you to keep movie-goers up-to-date on coming attractions, vary your menu depending on the time of day or season, and advertise other services like private parties and corporate events. 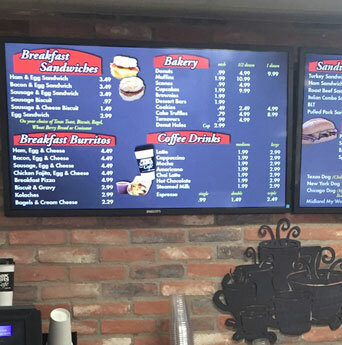 Upgrade your menus and signage. Let our design team help you create a look that wows your guests and promotes increased revenue. 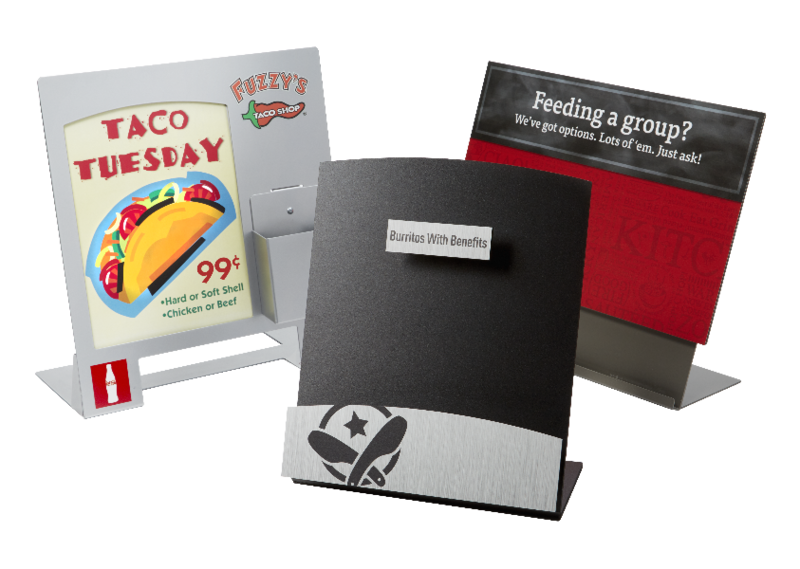 Our design team will help you create POP materials that support your brand image and encourage revenue growth by suggestive selling.